2008 May : Audio Design Labs Inc. Audio Design Labs Inc. are very pleased to announce that Blue Sky’s EXO monitoring system, which is designed and manufactured by ADL, has been nominated for a 2008 TEC Award, for “Outstanding Technical Achievement”. 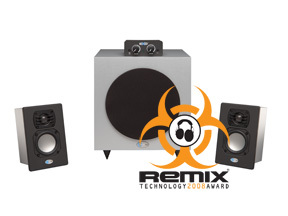 This is the second major award or nomination for Blue Sky’s EXO monitoring system, which was also awarded the 2008 Remix Technology Award (RTA) in the “Best Hardware Value” category, as voted by the editors of Remix, EM and Mix magazines. Audio Design Labs are happy to announce that visitors now have two convenient ways to subscribe to receive our eNews feed. The first method is to subscribe via your favorite RSS reader. The second, and possibly more convenient method, is via e-mail. Enter your email address in the box provided in the right hand column of this page and click subscribe. Optionally, you can also follow this link. A window will open, asking you to enter a security code that the system will randomly generate for you. This security code is designed to prevent spam. Confirm that your e-mail address is entered correctly and then click on the “Complete Subscription Request” button. In this email you will see a link. Please click on this link to activate your subscription. If you have any comments, questions or suggestions, please don’t hesitate to contact us. This article was also published in the October 2001 edition of Pro Sound News. You can download a PDF copy by following this link to the Blue Sky website (130KB Adobe Acrobat PDF). Through the ages, science and art have always been closely linked. These days people have forgotten how much individual artistic talent goes into truly magnificently engineered products. An example of a product that requires a considerable amount of technical and artistic talent is an accurate studio monitor. This article will show how a new technology, known as BOO®, can bring artistic vision and ideal acoustic performance to the marketplace more quickly and take out much of the guesswork. 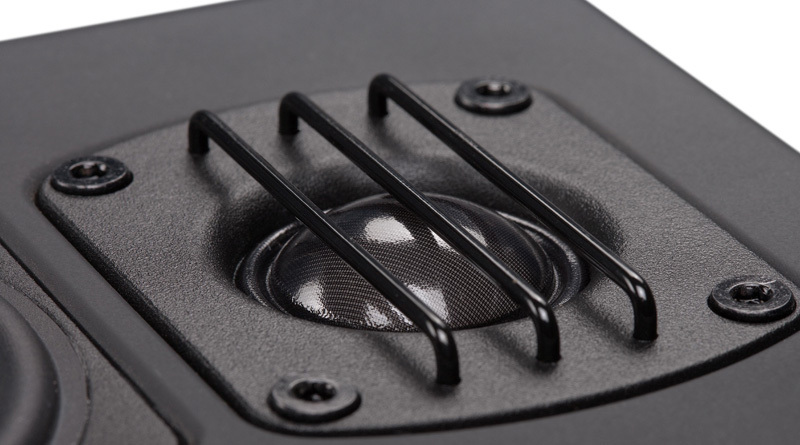 Designing a modern loudspeaker involves many factors, including: Output requirements, room acoustics, directivity requirements, psychoacoustics (how people perceive sound), and design philosophy. Design philosophy can also be interpreted as the artistic vision for a product. Artistic vision / design philosophy is typically made up of the factors, that a company or engineer has discovered through research and experience, which make a speaker sound “good”. For Blue Sky International these factors usually include such things as smooth on & off axis frequency response, flat on axis response, a wide listening window, and meeting a certain output requirement. This article was also published in the October 2006 edition of Resolution Magazine. You can download a PDF copy by following this link to the Blue Sky website (143KB Adobe Acrobat PDF). About 8 years ago, my business partners at Blue Sky and I had a number of meetings to discuss designing a new series of studio monitors. After much debate, we decided there was little point in building another set of “me too” monitors, in the typical 5”, 6” and 8” 2-way configurations. What we felt was needed was a different approach that overcame some of the limitations of current monitors and provided tangible real world benefits to the recording engineer. So where did we begin? When creating the requirements for Blue Sky’s nearfield and mid-field studio monitors, we decided to start at the end of the chain and work backwards to the beginning. 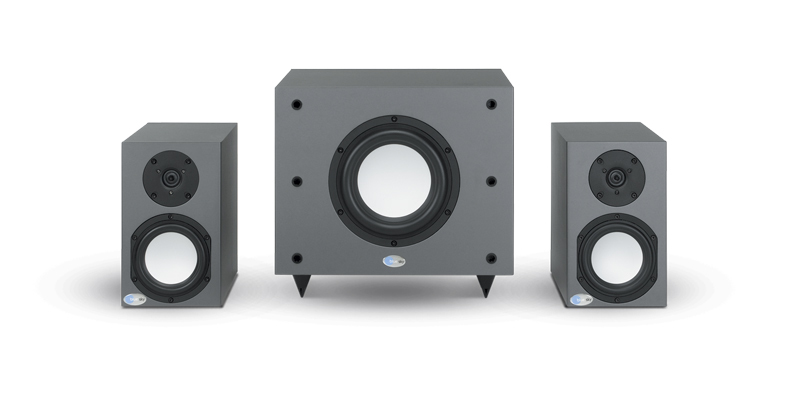 The single biggest factor impacting the performance of your home audio speakers or studio monitors, is the acoustics of the room or studio they are placed in. Recognizing this, over the last few years there has been a tremendous growth in the number of companies offering acoustic treatment products, along with providing extensive technical information. Below is a short overview of the biggest factors impacting home theater and studio acoustics, along with links to companies that offer products and technical resources which may assist you in addressing these issues. Instructions for electro-acoustic calibration of a professional stereo, 2.1 and 5.1 studio monitoring systems (speakers) using a SPL meter and ADL’s test files. If you are interested in calibrating a home theater system, we recommend using the test signals and procedures included with your home theater receiver. Before starting, download the ADLTestFiles.zip (15 MB). To download the zip file, “Right Click” and select “Save Target As” and the file will begin downloading. Once downloaded, either burn the test files on to a CD or import them directly into your DAW and follow the instructions below. 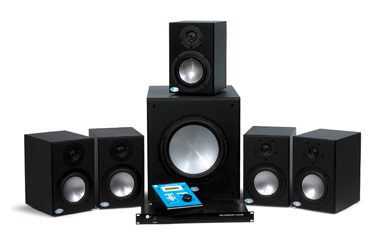 Today, many consumer and professional monitoring systems incorporate a subwoofer as an integral part of the system. 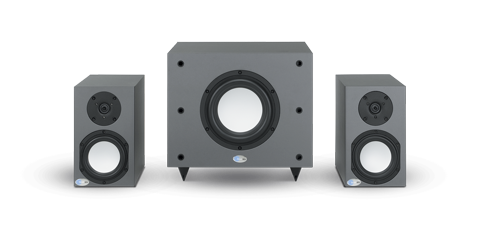 Making the subwoofer an integral part of the monitoring system design relieves the satellite speakers of the requirement to reproduce low frequencies. Smaller satellite speakers are more easily placed for the best imaging and the sub can be positioned for the best bass response. But what is the best location for your subwoofer? 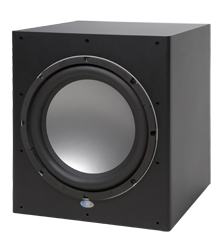 The low frequency response and efficiency of a subwoofer are heavily influenced by the acoustics of the playback environment. More specifically, the response is influenced by the room’s dimensional ratios, types of construction and location of the subwoofer within that environment. You can significantly improve the subwoofer’s in-room response and efficiency by experimenting with various room placements until you find an optimum location. Proper placement and aiming of the speakers in your studio or home audio system, can greatly improve the audio experience. Below are suggestions for placement of speakers for three general applications; stereo, 5.1 music and 5.1 film. If at all possible, speaker placement should be symmetrical relative to the room boundaries and the listening position. The recommended position for the left and right speakers, in a stereo configuration, is at a 60 degree angle relative to the listener, forming an equilateral triangle (a triangle with equal sides) as shown in the Reference Monitoring Position diagram (click to view). Fortunately, this setup eliminates most of the math and is easily simplified to the following guidelines: If you want to sit 1 meter (39.37 inches) from the speakers, place the speakers 1 meter apart. If you want to sit 6 ft from the speakers, place the speakers 6 ft apart. Etc. 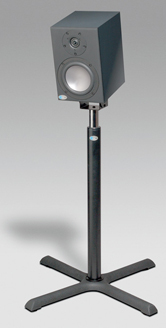 Ideally the speakers should be at seated ear height as show in the Monitoring Height Recommendation (click to view). If this is not possible, tilting the speaker cabinet at the listening area can improve high-frequency coverage. Audio Design Labs, Inc. launched its new website today. As we move forward, we will attempt to keep this site updated, by adding technical and industry related information that is pertinent to our customers and visitors. We look forward to hearing your thoughts. Electronic assembly and testing— built to customer specifications with either domestic or off-shore vendors. Additionally, we can also take completed PCB’s and do final assembly and testing. Full documentation of production—with recording of date of production and serial number reference, etc.